As a result, he created a list of essential 21st Century skills that all people need in order to be successful in college, in their career, and for their overall citizenship. All of these skills are important! I believe our unique approach at FLVS allows our students to hone each of these skills in a variety of ways. Our teachers utilize Discussion-based Assessments (DBAs) to motivate their students to think critically, solve problems, and dive deep into inquiry. Our DBAs also provide plenty of practice for our students in effective oral and written communication. FLVS students regularly have the opportunity to collaborate with their classmates via discussion board posts and collaboration assignments. And, because we have students who come from all over the world, it’s possible our students will collaborate with peers who aren’t even in their own town! Agility and adaptability are skills that are going to be increasingly important for students because they lead to becoming a professional who is prepared and ready to meet any and all needs in the future. FLVS students learn about agility and adaptability in many ways in our courses, one being the use of feedback and resubmission to show mastery. 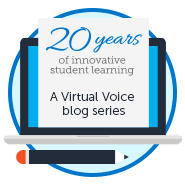 FLVS teachers provide detailed and effective feedback to our students on their assignments which hopefully encourages students to revisit their work and make changes and adjustments until they are able to show mastery of a concept. Being able to adapt in situations, assess the adjustments needed, and make those refinements is crucial to future success. 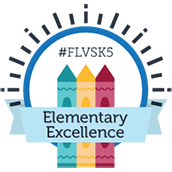 Perhaps the skill FLVS hones the most in our students is building curiosity and imagination. Our classrooms are already limitless, offering students the chance to learn and grow in an atmosphere largely (If not completely!) dictated by their needs. With access to incredible technology, our teachers and students build their scope of imagination to new and greater heights. In our fast-paced world where things change at a constant rate, Florida Virtual School is proud to offer each and every student the capacity to not only learn these powerful skills, but to empower one another to reach their highest potential and greatest success. Which of these skills do you think is the most important? Feel free to share in the comments below! 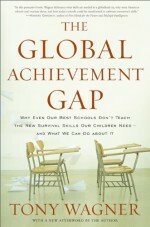 This entry was posted in Educator Edition, Full Time Edition, Homeschool Edition, Parent Edition, Student Edition and tagged 21st Century Education, Achievement, Advisement, Career and Professional Education, Careers, Collaboration, Communication, critical thinking, Growth Mindset, Imagination, innovation, Problem Solving, Secrets to Student Success, Skills for Success, Student Success on November 3, 2015 by Guest Blogger.